Offered at $8,600,000 - This exquisite property sprawls over 80 ACRES, including the riparian water rights for the 50+ acre lake. Relax on the dock or take out the boat, your options are endless. Indulge in exclusivity and complete privacy with no other homes in sight offering truly magnificent views year round. The picturesque setting has been a popular location for hallmark movies boasting vast South-facing, unobstructed views of Mt. Baker and the manicured landscape. 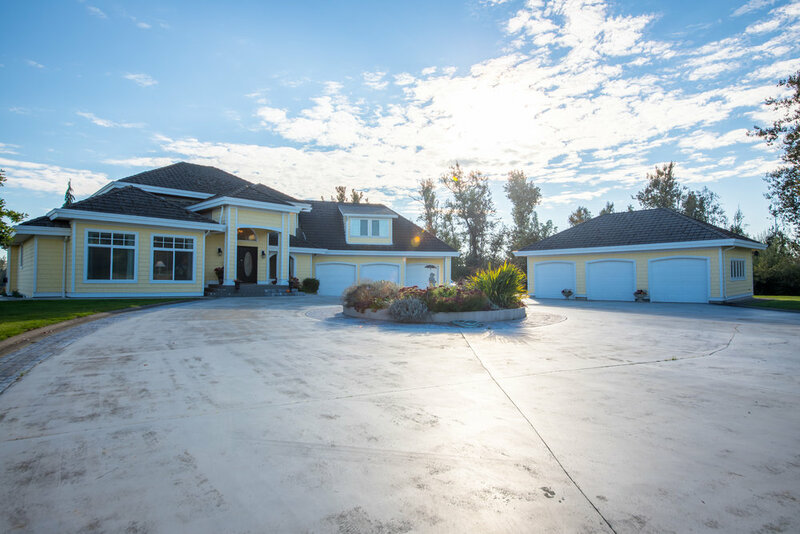 The custom built home features 4,700+ Sqft of living space on 2 levels, a 3 car garage, caretakers suite and an additional 850 Sqft detached shop. Truly a once in a lifetime opportunity to own this awe-inspiring legacy property just outside of Vancouver. Beautiful Lake ideal for Kayaking, Paddling and Fishing. A well-known location for hallmark movies. Website designed by Rightside Creative.